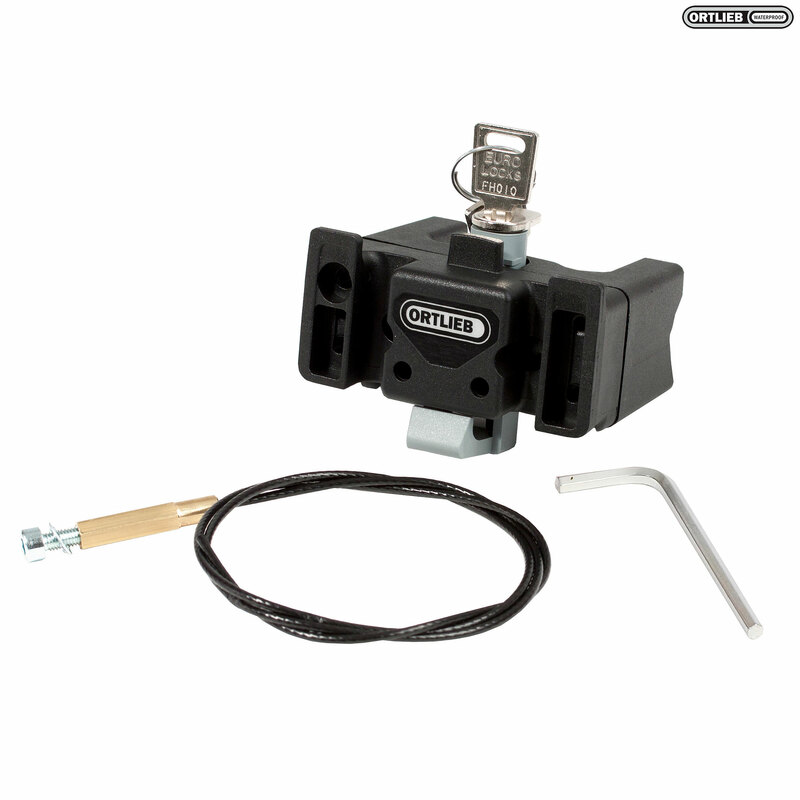 Replacement lockable handlebar mounting bracket for use with Ortlieb's Ultimate 6 bar bag. I bought as a replacement attachment for the Ultimate 6 Large handlebar bag. Usual well designed and constructed Ortlieb part. I have found the key lock useful in low risk areas when popping into a cafe or shop but may not be so secure if left unattended for a long time. Ensure the face of the mount is vertical before tightening the cables (don't over tighten!). This results in the ideal support for the handlebar bag. I think 3kg is the maximum load supported. The bracket is indeed the same for both sized of the Ultimate bar bags so this bracket will be fine for use with your bag. I have an older ortlieb bar bag (2009) which I think is a 5 model. Is the attachment for the ultimate 6 the same as for the ultimate 5? Can I use this mount. I know you can still get mounts for the 2-5 but ideally I want to use this one so I can fit the adopters to give extra handlebar space for lights above the bar bag. Unfortunately the mounting brackets for the Ultimate 5 and Ultimate 6 are different so are not cross compatible.